About Period Blankets. Part 2. 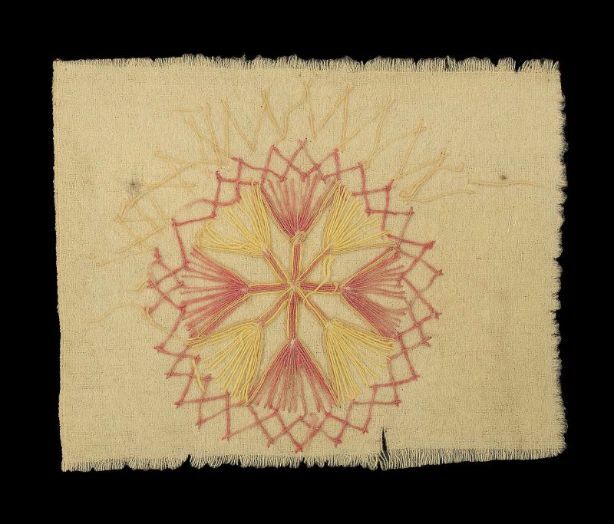 A 3-point blanket carried by Private Henry Marble of Massachusetts in the Revolutionary War. White wool, with 2 3/4 inch indigo blue stripes and points. Marble's blanket is in the foreground. Behind it is a 19th century 3-point Hudson's Bay blanket. Museum of the Fur Trade Collections, Chadron, Nebraska. 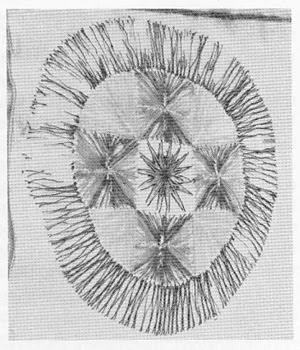 Frederick C. Gaede and E. Bryce Workman, "Notes on Point Blankets in the Military Service," The Museum of the Fur Trade Quarterly, vol. 15, 2, (Summer 1979), 1-2. Montreal and Albany in the year 1689. This is the "Rose" pattern placed in each corner of the Rose blanket. 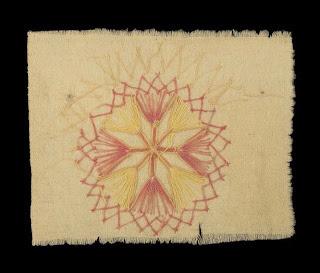 Between 1711 and 1860 [the Early company] made what became known as the "rose blanket"...[with] motifs embroidered in the four corners....[varying] between 9 and 21 inches in diameter. Blankets were woven in one long length weighing a hundred pounds....The decoration was put on to show where the length should be cut up into individual blankets....Rose blankets were popular in America. 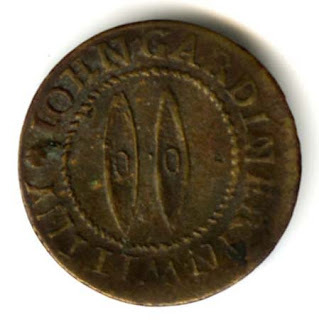 A 17th century Whitney Blanket Trade Token. 18th century Whitney Trade Token. These are bona fide private coins issued by traders in times of acute shortage of coin of the state to enable trading activities to proceed. 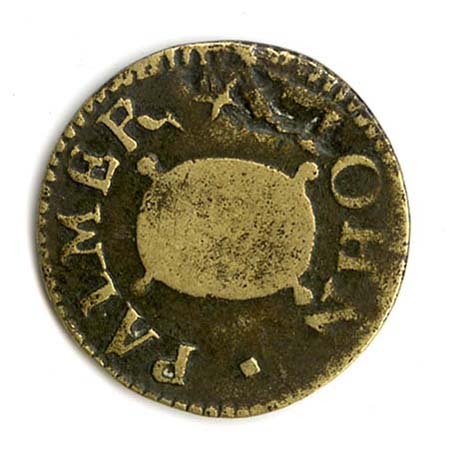 The token is a pledge redeemable in goods or in coin of the state, i.e. the face value of the coin represents the real value of the official coinage. Cabin blankets for use at sea were first made in the early 18th century . Many of these blankets would not have been of the best quality and were plain unbleached or dyed grey or olive. Townley. My Half-Blanket which I wear over my shoulders in winter. It is held together in front with an 18th century brooch. , and one rug, most often GREEN or RED, although other colours have been noted. Typically, blankets were counted by the PAIR or in twos, whereas rugs came singly. From: 'Ruff band - Rutherine', Dictionary of Traded Goods and Commodities, 1550-1820 (2007). 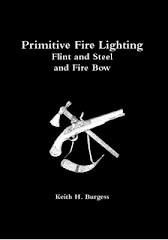 URL: http://www.british-history.ac.uk/report.aspx?compid=58859 Date accessed: 30 December 2011. Father Pierre Briard relates in the work Jesuit Relations and Allied Documents that in 1611 the Arcadian Indians "often wear our capotes, and in the winter our bed blankets which they improve with trimming and wear double". Also around this time Mother Marie de L'Incarnation recorded that she saw Indians wearing coats made from trade blankets. Indians used white, red and blue blankets. 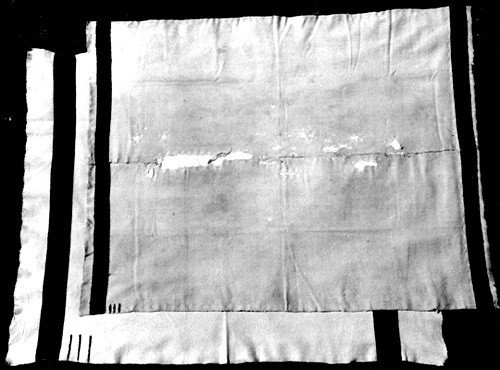 "In 1663, ten Normandy "white" blankets are listed among the goods belonging to the trader Jacques Testad dit Loforet. The term "Normandy" refers to the location of textile manufacture. In 1693, during a council held in Montreal involving the French authorities and twelve foreign Indians tribes "no less than 83 white blankets were given as presents." Another important aspect of these blankets were that some bore embellishments such as red or blue stripes at their borders, embroidery, and lace. In fact we see that when the trader Jean Mailhot died in 1687 an inventory of his "la morte" possessions included "seven blankets made of capote cloth trimmed with nonpareille lace". (a very narrow strip of ribbon which was made of false gold, silver or silk) Drawings by Jesuit Missionaries recorded that this trimming in many instances was done in a zig zag pattern and consisted of two pieces of lace. Words That say It Like It Really Is. There is more than one way to explain something, but this quote I think is very good. It is hard to explain the feeling I get when touching original artifacts, and even copies! Hard to explain the feeling of dressing in period clothing and using 18th century items whilst trekking and camping in period style without anything to remind you of the 21 century. Thanks for passing this on Jim. Pioneer Handbooks: - Free downloads from the pioneers and settlers are here. As some of you may know I am recently returned home from having a complete hip replacement. That means no woodsrunning for me for a while. As well as regular special excersizes I also have to go for a walk every day. It has been so wet here of late that walking off the track has not been possible. So I am restricted to walking our forest road to our front gate and back again, which is about 1Klm there and back. This morning being my first walk of 2012, I decided to take some photos and share them with anyone who is interested. Unfortunately I run out of room on the digital card before I reached the gate! Looking back at the main house, "Linstock" and over Butterfly Valley to the forest beyond. As you can see, plenty of room for historical trekking. Here Linstock is to the left, and this is looking up the road which leads to "Elm Cottage", which we use as a club house for the New England Colonial Living History group 1680-1760. Starting my decent down toward "Bull Ant Bend". When I first put this track in, I encountered a large bull ant's nest right on that bend. It remained there for many years and was not a good place to hang around! Bull Ant Bend looking further down the track. Old Fort Henry is just off to the right in Henry's Wood which is seperated from the rest of Wychwood Forest by this track. In the distance you can see open pasture belonging to a "Brumby" farm. This is where they train the wild horses for sale. Our gate is still a little further on round the next bend. Henry's Wood to the right, the rest of the forest to the left. Looking into Henry's Wood at the old fort. A small stack of firewood drying in the sun ready for next winter. Green stacks like this and larger are dotted about the forest. Mostly we cut dry wood and carry it back to the wood shed, but when trees fall, then we sometimes cut them green and stack them to dry like this. Another view of the open woodland in Henry's Wood, named after my Father. He never got to see this place, but I know he would have loved it here. Mostly Stringybark trees with some Yellow Box and Mountain Gum. 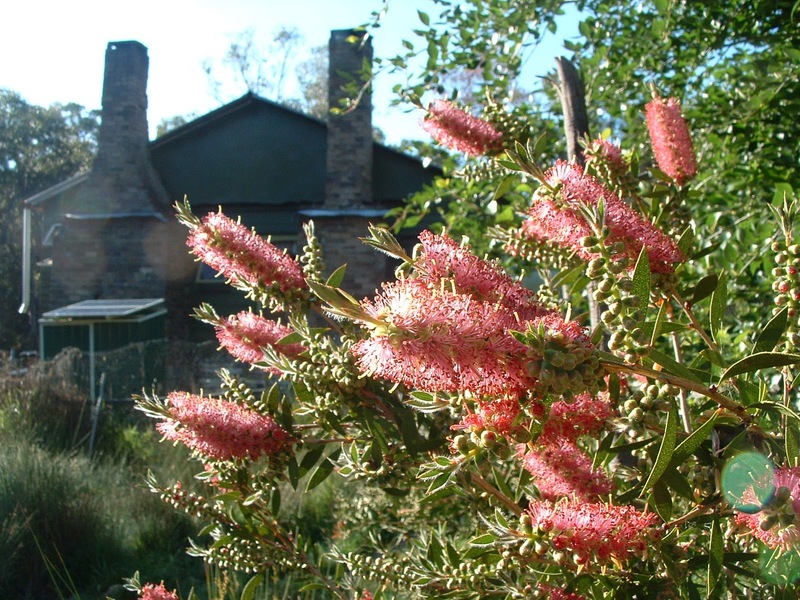 This is a Mountain Gum, very similar to look at as the Manna Gum. Can you see the Currawong centre picture? A black and white bird about the size of a Raven and similar to our Magpie but a little larger and not so much white as the Magpie. Just look at that big blue sky! Elm Cottage with it's two chimneys, kichen on the left, living room on the right. It has solar power now as my youngest son uses one room to store some of his art work. The living room 18th century style fire place with chains and hooks for hanging kettles. No solar lighting in this room, just candles, grease lamps and rush lights. Group members are able to bed down on the floor in this room if they wish to stay over. Many think that this year is the beginning of the end of the world as we know it. Personally I keep an open mind. I have seen some things in my time that some would not believe or understand. I am pretty sure that I can handle anything that comes my way short of a nuke! Here I must thank all of you that have followed this blog for as long as you have. To those who have taken the time to comment on my posts, my sincere thanks. Your questions and feedback are very much appreciated, and often they prompt me to do further research and give me ideas for more posts. It is you that keeps this blog going. Without you I would have no need to keep posting. My very best wishes to you all for a good year in this 2012 and beyond. About Period Blankets. Part One. White blankets were very popular in the 18th century. This white blanket coat is good cover in the snow, but not so good when there is no snow on the ground. The wool blanket is a vital part of any 18th century travellers equipment. Wool blankets have also been used as matchcoats and for making blanket coats, leggings and moccasin liners. ~ David Thompson, Northern Plains, 1798 . I have been researching 18th century blankets, both trade blankets and home hand woven blankets, bed-rugs and coverlids, and the information has been very hard to find! The harder it got, the more convinced I was that this research needed doing. This research will be ongoing, as I find most of my research is, but at least I can publish what I have so far in the hope that it may help other Living Historians. ~ John Bartram, near Lake Ontario, 1743 (Bartram, 38 ). But since reading similar quotes I have found the following: in 1716 unscoured Witney cloths used for waterproof coverings or clothing were mentioned in a poem by John Gay, implying that they were widely known. And the poem: 'True Witney Broad-Cloth with its Shag unshorn/Unpierc'd is in the lashing Tempest worn . . .': quoted in Plummer and Early, Blanket Makers, 42. From: 'Witney borough: Economic history: economic life 1500 to 1800', A History of the County of Oxford: Volume 14: Bampton Hundred (Part Two) (2004), pp. 77-88. URL:/ www.britishhistory.ac.uk/report.aspxcompid=116956&strquery=unscouredcloth Date accessed: 31 December 2011. Which begs the question, were these travellers using “True Whitney Broadcloth blankets? Something to at least consider. 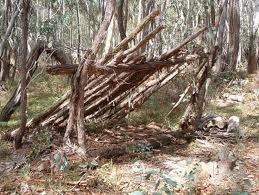 An old lean-to frame in Henry's Wood. 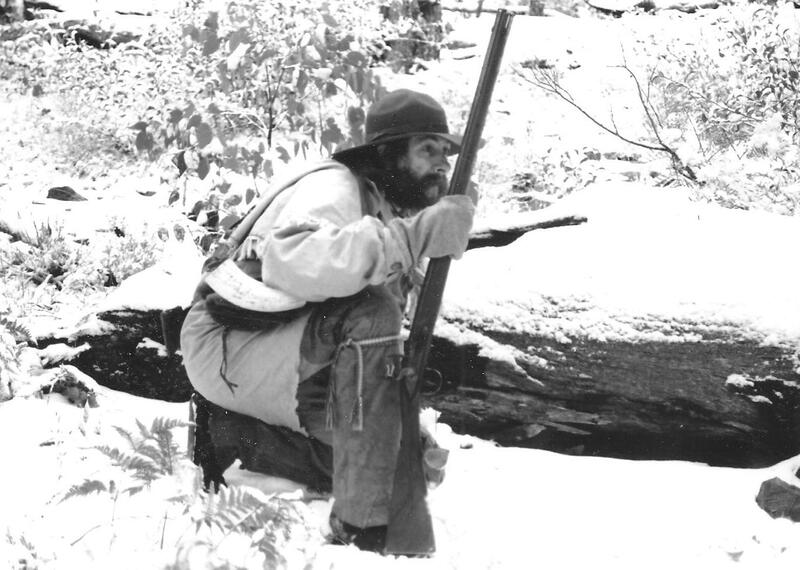 “I marched with only my military suit, and my implements of war, without any change of dress or even a blanket ..."During the post-battle American retreat from Germantown Morris was captured by British soldiers, "and marched back to Germantown under a guard." 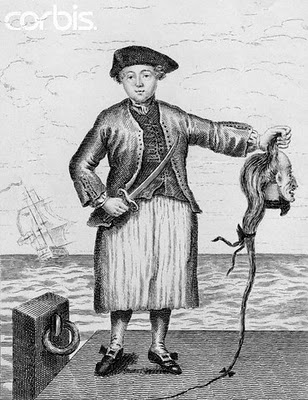 His waiter made his escape, taking with him Captain Morris’s "blanket and provisions with a canteen of whiskey ..."That night having had no refreshment and "no blanket or any covering to shield me from the cold," he asked a sympathetic British officer for assistance. After being given some food he was brought "a large and clean Rose blanket ... for my use that night, I accordingly went out into the field, and lay down among the soldiers who were prisoners, wrapped myself in the blanket, kept my hat on my head, and slept soundly through the night..." Memoirs of James Morris of Litchfield, Conn., Revolutionary War Pension and Bounty - Land - Warrant Application Files, National Archives Microfilm Publication M804, S16204. A fragment from the corner of a Rose Blanket. The Rose blanket had one of these in each of the four corners. My old white Whitney blanket, no nap left on it any more. Where it has become threadbare, I have sewn on some "real" bearskin. Some info on Grease Lamps on Frontier Carpenter. Editor's Note: I used to melt our fat in water to make the tallow. Sometimes changing the water several times after letting it cool. Salt & heavy particles sink to the bottom, leaving the refind tallow on the surface. We lived for 20 years or so without electricity & used tallow candles & fat lamps for lighting. These were the days of early to bed & early to rise. 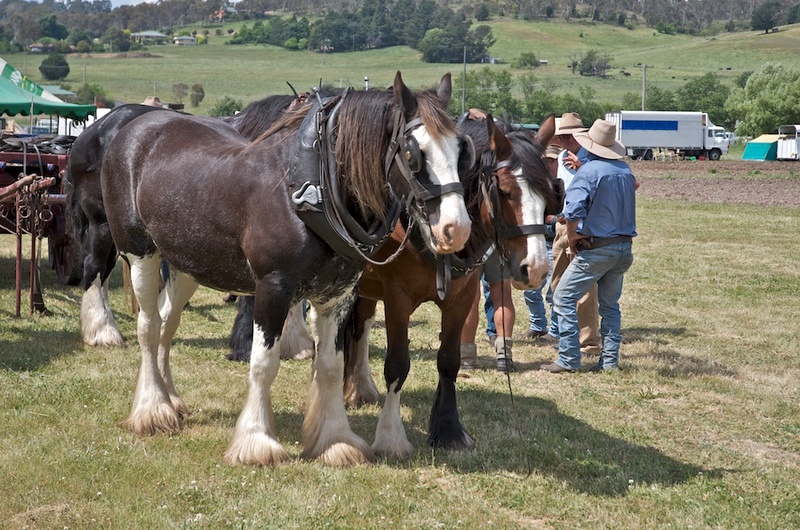 Heavy Horse Group in Armidale NSW!!! More on Women in Men's Clothing. A Link. New England Colonial Living History Group 1680-1760. My Avatar. Armidale NSW Australia. Membership FREE. Australian NSW 18th Century Living History Groups. Australian NSW Living History Traders. I Found A New Period Blog! Round Ball Moulds Of All Sizes. Another Look at the .32 Flintlock Mountain Rifle. More 18th Century Trade Rings. Trade Items. 18th Century Trade Stone Rings. Trade Items. 18th Century Hawk Bells. French & Indian War Goodies. Xmas is near, Best Wishes To All. Fitting A Gun Flint In The Lock. Women Of The Fur Trade Site.